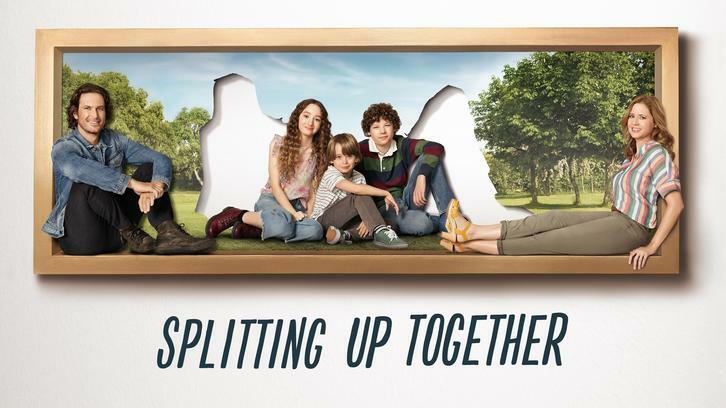 Splitting Up Together - War of the Wagners - Review - Did You Just Glinda Me? 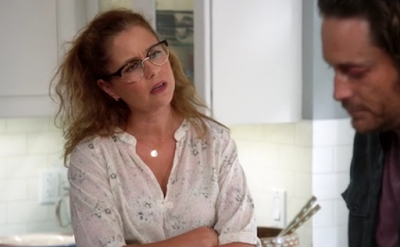 Splitting Up Together is utterly committed to one thing and one thing only for almost this entire episode. It changes directions, positively, before the end. But much like your parents getting divorced, the calm doesn't wipe away the scars from the storm. I am not speaking from the perspective of Martin and Lena's children. I am not sure their children have perspectives. The show uses them more as a sticky string to trap Martin and Lena together. 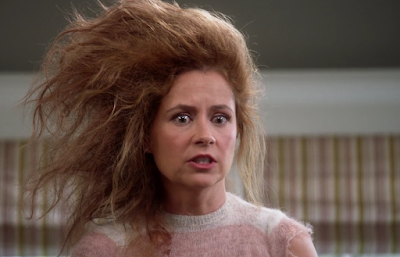 The sole reason to come back to this show continues to be Jenna Fischer's charm, and this week she got to let a slightly meaner version of Lena out to play. Lena and Martin are both especially awful in this episode. There are funny moments, like Martin sprinkling animal crackers into the children's lunch bags like he's scattering chicken feed. There are really despicable ones too. Lena adopts a dog solely for the purpose of causing Martin to have an allergic reaction. This is very unkind, and I was sad to see the dog still living with them at the end. Surely her dad could have rescued the poor creature?! Speaking of Maya's father, he put in an appearance to encourage them to stop fighting. When not finding new ways to hurt each other, Martin and Lena disagreed over parenting. She wanted to sugar coat. He wanted to rip the Band-Aid off. It is probably just as well the children really aren't characters. Imagine how emotionally conflicted we might feel if their perspective of this turmoil was visited more often. That being said, Sander Thomas is absolutely precious as Milo. His desire to join his best friend at a school for gifted children was doomed to fail, but it brought his parents back together for a minute. And when Mae scoffed at her parents' calling someone other than her gifted, Martin tried to reprimand her. "You can be gifted without being cocky." Olivia Keville's delivery of Mae's comeback line, "How would you know? ", had the perfect mix of sass and arrogance. We also have the fringe adult characters. Besides Lena's wise father, Maya and Camille put in a very brief appearance. Maya ate several muffin samples. Camille gave Lena advice for her feud with Martin. Lena eventually offered Martin peace instead of a piece. She agreed to fix up the house. He sort of apologized. Much like a child whose parents are getting divorced, I felt some brief relief that they had called a truce....even knowing that it probably won't last.